The North Face of Lancaster. Christmas shopping in Lancaster: it may not be a typical hike but it did involve several hours of solid walking, intricate navigation through the back streets of the city and an overwhelming desire to accomplish the entire mission in one expedition. Recklessly I left my head torch, map and compass at home and pinned my hopes on Lancaster City Council's streetlighting and signage departments; luckily they didn't let me down. After leaving Lancaster railway station I took the waymarked route along Westbourne Road and continued straight on over the major intersection, keeping the Cancer Research shop to my left at all times. Some of the views along the way were simply stunning; snowy mountains, gaping ravines, polar bears, penguins and a giant sized Very Hungry Caterpillar in the window of Past Times. 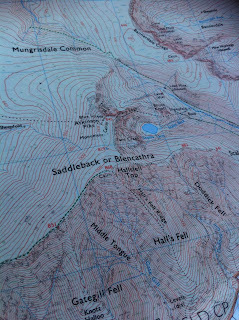 I opted for the circular route taking in M&S Knott, BHS Screes and WH Smiths Gap. The route was fairly busy, but perhaps less so than you'd expect for the time of year. I also noticed that everyone seemed well prepared and appeared to be carrying more than enough food and equipment to cope with most eventualities. Should the mist have descended I am confident we could have survived on mince pies and Harvey's Bristol Cream until mountain rescue found us, though I had secreted a secret stash of liqueur chocolates in my handbag in case of emergencies and was prepared to lead a rousing chorus of "Santa Claus is Coming to Town" to guide them to us should the need have arisen. There was a good degree of camaraderie amongst my fellow hikers though I did notice that on this particular hike there were far fewer men than I usually see out on the fells. I can only assume that the arduous nature of the route had proven too much for them and they were most likely at home with a pie and a pint bravely planning their next assault on an empty grassy hillside. Four hours later and my mission was complete. I'd sustained minor head injuries from a craggy outcrop of Jamie's Great Britain as I passed through WH Smiths Gap and a glancing blow to the shins courtesy of an over excited small child with a scooter. It's an ideal bad weather route with plenty of places to shelter along the way though it's certainly not going to be the prettiest route in good weather. Fortunately I had time to recover at home before venturing out to the Christmas tree lighting ceremony in Grange. When you think about record breaking towns, Grange-over-Sands probably doesn't leap immediately to mind. 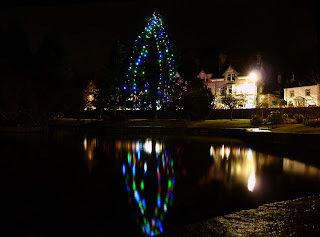 However we apparently have the tallest live lit Christmas tree in England and, in its 65th year, the longest continuously lit Christmas tree - though we do switch it off during the summer you understand. The ceremony started at around 6pm when a crowd of excited children began to gather opposite the ornamental gardens. 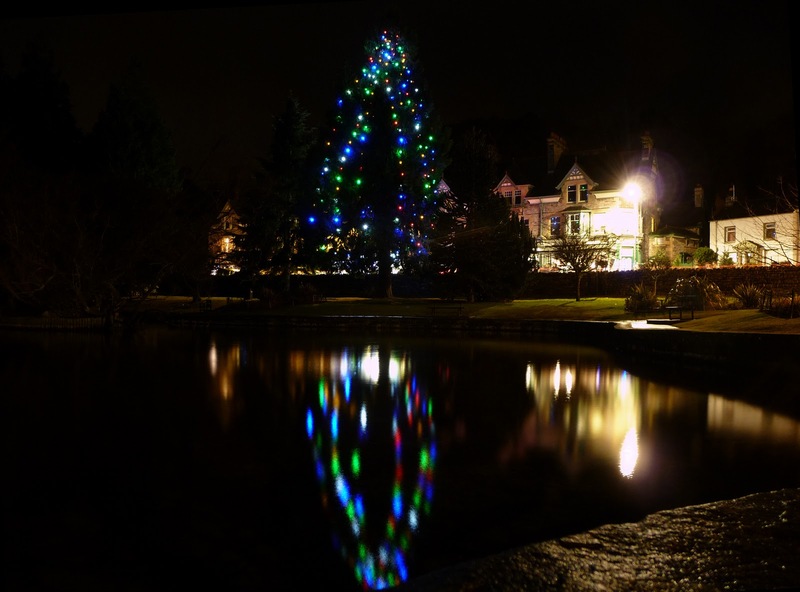 After a few rousing carols the lights were turned on and Christmas officially arrived in Grange. Soon after Santa appeared to take up residence in his grotto much to the delight of everyone present (including me, though Steve did veto me going to sit on Santa's knee.). So there you have it, the first unsupported winter assault of the north face of Lancaster completed and the biggest Christmas tree in England. 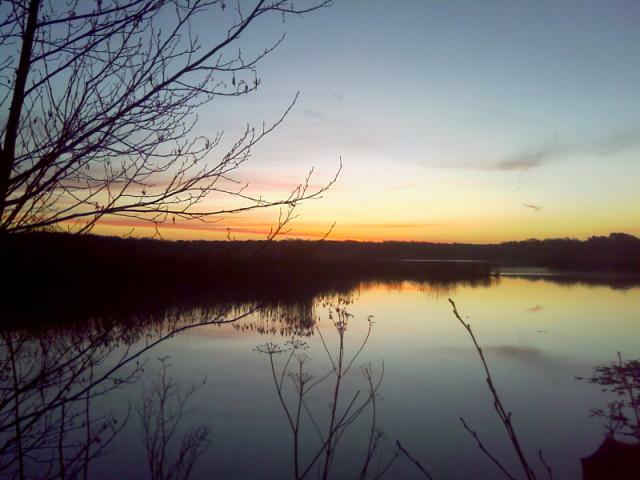 Who says it's grim up north? Thumbs up for Thumbs up mountain! Well, a number of firsts today. 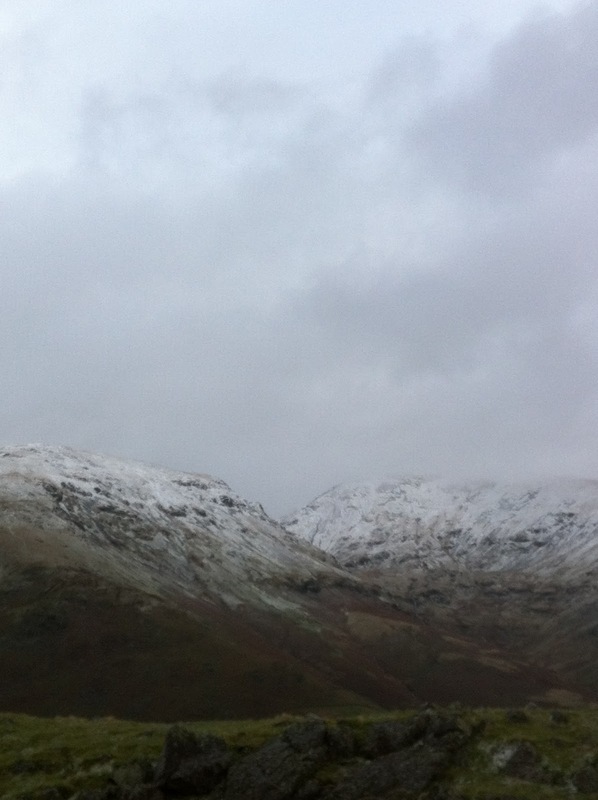 First time in a hail storm on a fell, first time in a snow shower on a fell, first time walking though (very light) snow and first time up thumbs up mountain. We've been waving to thumbs up mountain since the first time we drove south along Thirlmere. It took us ages to get around to finding out the real name for the place as we rather like our name for it, but turns out it's Helm Crag. Next time you're driving south along Thirlmere look up and to your right and there it will be, right down at the south end, looming over Grassmere, and giving you a cheery thumbs up as you go on your way. We decided last weekend that today would be the day for it but we didn't realise we'd have a few other firsts too. As we headed along Windermere we could see the snow on the top of the fells in the distance and got ever more excited as we neared our goal. Our plan was to wander up Green Burn, scramble up to Gibson Knott then follow the ridge to Helm Crag and then head downwards. You really should come out walking with us some time, we have such a laugh along the way! Along our route we viewed Helm Crag from various different directions figuring out the best "thumbs up" angle and decided it's definitely better from a distance. As we made our way up Green Burn we noticed a large white wall was moving towards us and the mountains behind were vanishing. Within a few minutes we were being pounded by a hail shower (Check out the video below.). 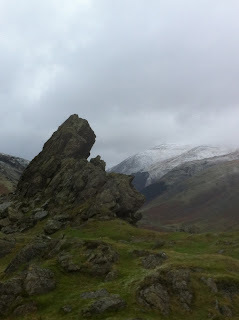 Walking into the direction of the wind became very painful and pretty much dictated our route up Gibson Knott. The shower soon turned into snow and left a light dusting all around us - very festive, almost as if the weather was waiting until December before turning on all the Christmassy stuff. The walk itself was pretty uneventful but as it was our first time out in these conditions it was an opportunity to learn. If you're an old hand at this sort of stuff then you'll probably laugh at what I'm about to say, but cast your minds back to the fist time you were out in winter and try not to be too harsh. Firstly I learned that I need a pair of waterproof overgloves as my wonderfully warm gloves became an icey cold block of sogginess pretty darned quickly, not helped by the fact that I have a rubbish sense of balance so have to hold on to stuff a lot. I also learned that I need more hot drinks and less cold squash and lunch breaks in these conditions require you to be able to neck a sarnie in 60 seconds flat - without getting hiccups. My boots, as ever, did an amazing job keeping my feet dry and toasty and the gaffa tape on my waterproof trousers thankfully stayed put. Another wall of white approaching! 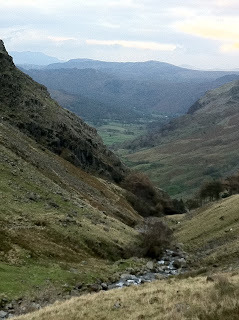 I think I've also finally realised what bothers me about the sanitised routes up the fells, they encourage idiots to head upwards with the mistaken idea that the entire Lake District is laid out the same way. We went down via White Crag, a route that has had rock "steps" laid in because, I'm assuming, it's a popular route from Grasmere. We found the steps a welcome addition but passed a few people heading upwards who, in our opinion, were ill equipped to deal with even such a small fell as Helm Crag. Most notably we passed two men chaperoning 2 teenage boys. Their showerproof macs were no match for pretty vicious hail showers we were getting, they had a small pack but no map or compass and, we overheard them say, were "hoping they'd find a path down the other side and back to the hostel." Hoping? HOPING? And they were in charge of teenagers? 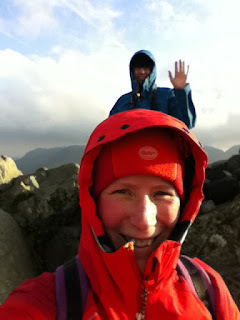 on top of Scafell Pike in the mist and promised a beer, pizza and a hot bath if/ when they make it down in one piece. Should sharpen the mind a little. A very festive dusting of snow. Anyway, we made it back to the car a little colder and soggier than when we set off but sporting a lovely rosy glow. We know we still have a lot to learn about the fells in winter, but we've got some sensible routes in mind and promise to take it steady. And no, we won't now be calling it by its proper name, it always has been and always will be Thumbs Up mountain to us. Tarn Hows - Gorgeous but popular. Over the past few hikes I've come to realise that I'm a graduate of the Wainwright school of sociability on the fells. I'm pretty sure that as a child I was quite happy to share my toys, but clearly I'm getting grumpier with old age. 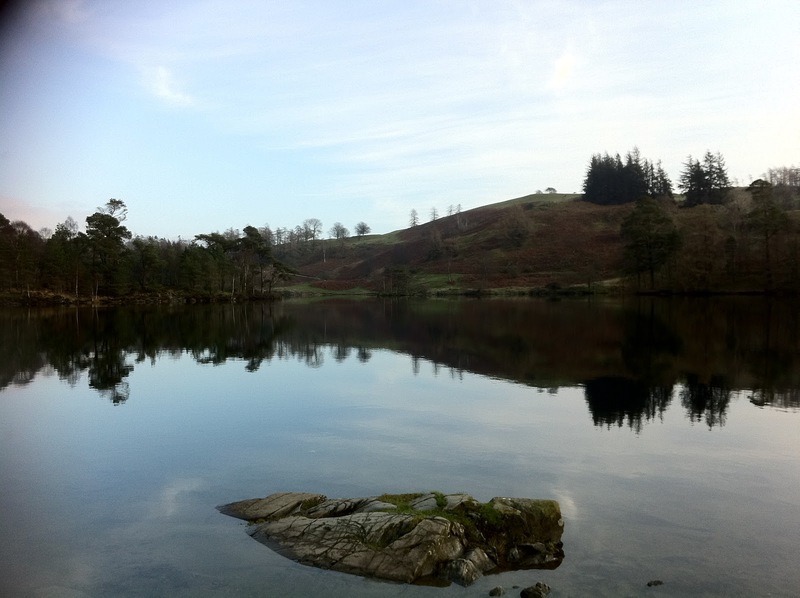 A few weeks ago we visited the beautiful Tarn Hows, along with several hundred other people. How dare they visit at the same time as us, didn't they realise we wanted it all to ourselves? Honestly, do you know how hard it is taking photos when other people keep getting in the way? It was then that I realised maybe I needed to chill out a little bit. 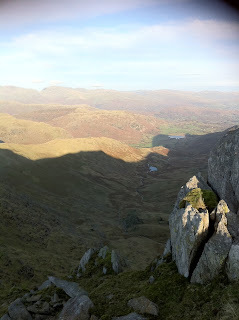 Then there was our most recent visit to Dungeon & Stickle Ghylls. Two other hikers decided to set out at exactly the same time as us and took the very same route. Is nothing sacred? When that happens you're faced with a tough decision - do you adopt the "athletic hikers of the fells" approach and streak past them to open up a healthy gap, sucking in your breath and belting out a cheery "Hello" that belies the effects of your exertions? Or do you find a fascinating rocky outcrop to study, thus allowing them the time to move ahead of you and hope they're not lying in wait around the next bend? We opted for the former and it took me a good 10 mins and an extra large chunky KitKat before I got my breath back. 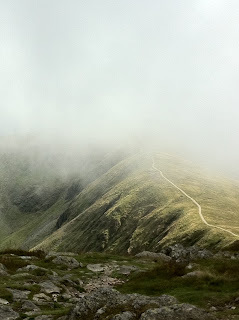 Striding Edge - upto 1000 people a day stride along it. Of course if I thought Tarn Hows and Striding Edge were busy then that was nothing compared to the Dickensian Fair in Ulverston which we pottered along to last Saturday. Many people entered into the spirit of the event by dressing in appropriate costume, it's just a shame that Berghaus don't make Dickensian style waterproofs as it poured down for most of the afternoon. I think a special mention ought to go to Northern Rail too who, despite being fully aware of the event, thought it would be a great idea to just run single carriage trains and jam us in like Dickensian sardines. Nice one. 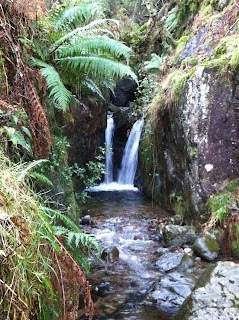 Sunday saw us seeking sanctuary back in Thirlmere and taking a tiny toddle up Great How. If you're ever in the mood for an interesting short walk with a little hill and spectacular views then I'd certainly recommend it. Parking at Beech Grove we first walked around the head of the reservoir and along the dam wall with its fabulous commemorative plaque. It's fair to say the decision to create the reservoir was somewhat controversial and Wainwright himself used to pee in the feeder streams in protest, though he was asked to keep this quiet for fear of encouraging others to follow suit! From the top of Great How you have fabulous views to the south along Thirlmere with Helvellyn rearing up along the side and if you spin around and face north you can see equally wonderful views of Blencathra and Skiddaw. For once we were able to enjoy blissful solitude on the top of the fell, a silence punctured only by the ludicrous claim that the transporter was best because it made such a cool noise. Honestly. 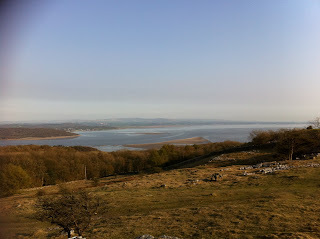 As we've not been up any fells for a week or so I'm going to take a leaf out of the books of those chaps who write TV series and put together an episode of the blog based on clips from previous blogs. I'm going to assume most of you lead interesting lives and haven't dug back through all my old blogs from our five week tour of northern England and a little bit of Scotland last summer, which cover my first ever visit to the Lake District, but to those few who maybe have, and to my friends and family who've been following these lunatic adventures since "the big tour" I can only apologise. I'm also doing it because I'm feeling all nostalgic and still can't quite believe what we've achieved in the past year or so. 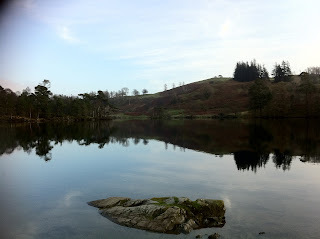 It's hard to believe that it was only 15 months ago that I visited the Lake District for the very first time. 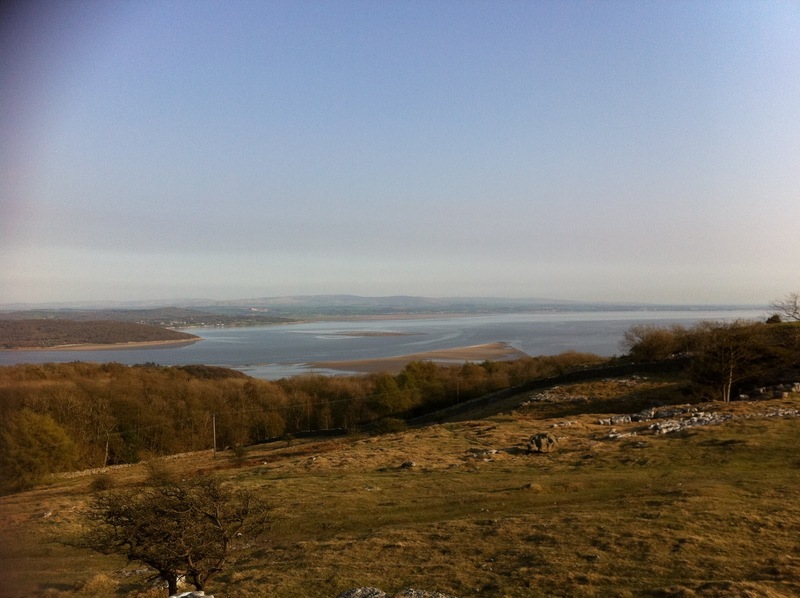 We camped at Troutbeck near Ullswater then moved onto Grange at the foot of Derwent, then Ambleside for a few days before heading down to Meathop near Grange-over-Sands, now just a 5 minute drive from where we live. So how did it happen? 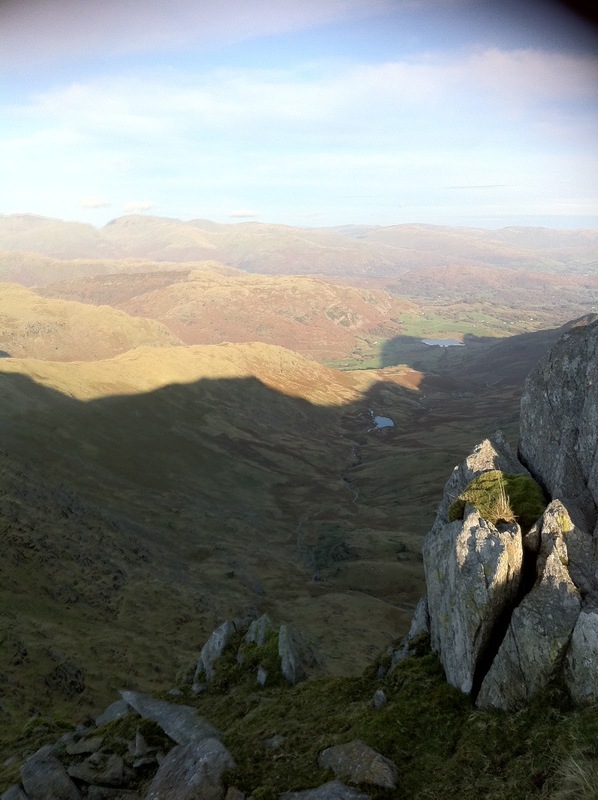 Well, here's an account of my first 2 lakes and my first 3 fells - all big names, though I didn't really appreciate that at the time. 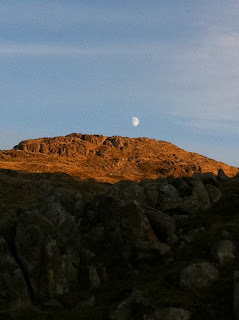 22nd Aug 2010: "We headed straight for the CC site next to Ullswater, bagged a decent spot then headed for the lake. Amazingly it's my first proper visit to the Lake District and as the weather was taking a brief lull from its autumnal schedule I decided I wanted to make the most of it and head out on a boat. We got ourselves tickets for the Ullswater Steamer and 10 minutes later boarded a diesel powered boat - where are the chaps from trade descriptions when you need them? We happily chugged up and down the lake for a couple of hours and even spotted a couple of houses we fancied buying one day if we maybe win the lottery. Twice. 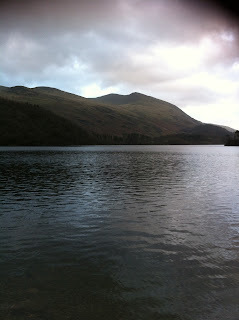 The scenery was dramatic with Helvellyn looming large over the head of the lake. Once back ashore I took out a small mortgage to buy a loaf of bread and some milk before we headed off for Aira Falls. The Aira Falls pay & display carpark was free for National Trust members - hallelujah! That's another 70p saved thanks to our annual membership fee... As the NT hadn't splashed out on too many signs we ended up on the wrong side of the river for High Force so Steve deftly & elegantly leapt across 3 boulders to the other side. As I have the sense of balance of your average Glaswegian after a night on the lash I rolled up my trousers and paddled across. In the 20 mins it took me to slither and swear my way to the other side several families with young children had followed Steve's lead and were all now mocking me from the far bank. Eventually we made it up to High Force for the obligatory photo of more gallons of water hurling themselves selflessly down a rockface for the amusement of tourists." 25th Aug 2010: "If I thought the roads to Buttermere were fun they were simply the warm up for the approach to the CC site we're now on near Keswick. Heaven knows how twin axle caravans make it down here. A tight right hand bend into Grange and immediately over a narrow stone double hump bridge before squeezing along the road through the village lanes past badly parked tourists cars. (I'm telling you - the Elddis Panzer would restore a little order.). Then a few more winding lanes before dropping down into a fabulous little woodland site. No loo block but plenty of peaceful pitches. After lunch we decided to walk around the lake but we got distracted half way round by Catbells fell so we climbed that instead. Not a big peak but in a perfect spot for panoramic views of Derwent, Keswick and the surrounding valleys. 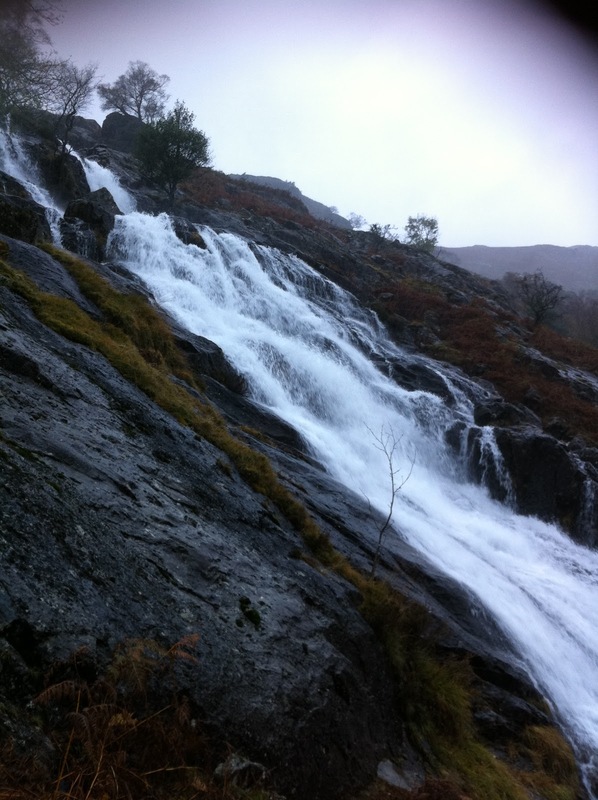 We're hoping to tackle something rather more challenging when we're in Ambleside so this was a nice warm up." We’re not experts in the mountains but took plenty of sensible precautions which is more than I can say for many of the people we saw up there. Luckily the weather was good, but there really is no excuse for tackling a peak like Helvellyn in flip flops (as we saw someone wearing). If Mountain Rescue ever has to be called out for idiots like that I hope they send them a very large bill. Mind you we saw plenty at the other end of the scale too, with some people well equipped enough to winter in the Antarctic." 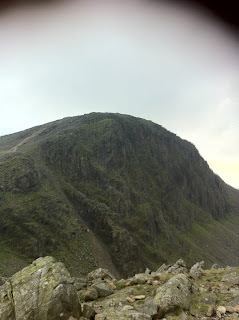 31st August 2010: "Back in our now slightly less muddy field we made our plans for Monday – the big assault on Scafell Pike. Our legs were feeling much better and the blisters were doing well. Being in Delores we didn’t think the haul up to Wasdale Head was a great plan, it would have been around a 90 minute journey and not something I’d have enjoyed doing after a long days hiking. Instead we opted to drive to Seatoller, cycle to Sathwaite and walk up via Stockley Bridge. Whatever the plan an early night was in order. Great Gable - love at first sight. ﻿On the drive over to Seatoller we followed a double-decker tourist bus which helped clear the traffic for us which was, as Steve put it, rather like having a Sherman Tank on point. We got to Seatoller around 9:45am with only one minor mishap, we missed the signpost for the National Trust car park and very nearly ended up on the Honister Pass. Luckily there was somewhere to turn around and the kindly bus driver pointed out the car park for us. As it was a beautiful sunny bank holiday Monday there were plenty of people around and everyone seemed in a good mood as we headed up the mountain. 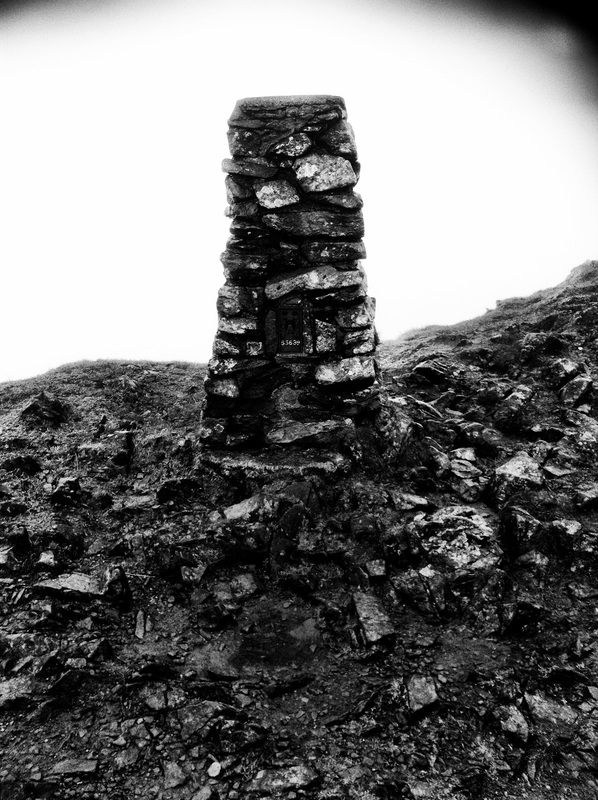 Many of the routes up Scafell Pike are pretty but the mountain top itself is quite brutal, a huge pile of jagged rocks which made me wonder where the actual mountain itself was and how they accurately measured the heights of things that seemed to be no more than a pile of scree. The top was like Piccadilly Circus but at least everyone had made it up there safely. I would say that all we needed to do now was to get down, but once we get up into the mountains we like to stay there, so as well as visiting all the peaks along the ridge to Scafell Pike we also nipped over to Esk Pike, Bow Fell and Allen Crags before dropping back down. I definitely want to return to climb up the Great Gable though, a wonderfully imposing mountain and fabulous to look at." 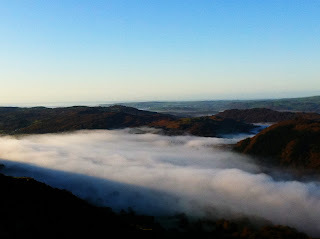 So there you have it - how I "fell" for the Lake District - and you can't really blame me, can you? Just because we're not hiking a fell this weekend doesn't mean we can't do outdoorsy stuff, which is why we headed off to the Kendal Mountain Festival on Saturday. These sorts of events fascinate me in many ways as the fashion stakes are so high - not that anyone would ever admit that as m any people attending these things have made a fashion out of being anti-fashion, if that makes sense. So, what to wear? Well I needed to go for a look that said "I'm serious about the outdoors" but not in a "I've just slept on a park bench" kind of way. Whilst there seemed little point in me donning full hiking gear for an afternoon in Kendal, I could justify my walking boots as I'd be on my feet all day, so feet sorted, but what about the rest of me? Well, for once there was no rain forecast so I wouldn't be needing my waterproof jacket or my fashionably taped up over trousers, which gave me a little more freedom with my wardrobe. In my mind I went to the mountains for inspiration and asked myself this question: "What do mountain dwellers look like?" There'd be a number of big mountaineering names lurking around the festival so I wanted to get it right. After much consideration I settled on a look that emulated that most elusive and sought after mountain dweller, the Yeti. The top I'm modelling in the photo has been knitted from the softest underbelly fur of the rare Himalayan Yeti and is 100% genuinely synthetic (dry clean only) and it's fair to say I attracted a little attention with it. While some people simply stood and stared in wonder other's shared their joy at seeing such a rare and unusual clothing item by laughing out loud. A few female passersby asked where I found such a wondrous thing but their husbands looked at me with eyes that begged me not to tell. At one point, when I was stood in the main marquee admiring some photos, I looked down to find a small child standing next to me gently stroking my arm. At least the assistant in Mountain Warehouse had asked before they stroked me. Any moment now I thought someone might offer me a saucer of milk. I remain unrepentant as the top is by far the warmest item of clothing I own and I feel I won the "anti fashion" competition hands down as everyone else had opted for the rather more predictable hiking trousers/ fleecy top combo. So, fashion attire sorted, what of the Kendal Mountain Festival? Well, as many of you know, we are potless at the moment so much as we would have loved to see many of the fantastic films and speakers they had lined up we simply couldn't afford to. We took a stroll and found a drum group in full swing brightening things up no end in downtown Kendal but other than that the only other place to visit was the large marquee in the Brewery Arts Centre car park. Based on the assumption that you can roughly judge the priorities of the target audience according to the proportion of space taken up by the main sellers, it's clear that the two main things mountain types are interested in are clothing and whisky as planetFear dominated one half of the marquee and Bowmore whisky the other half. Committed to the cause I strove to divide my time equally between the two and found a lovely pair of cheap Bergahus walking trousers to replace the ones I wrecked on Wetherlam and I availed myself of a couple of the free samples those nice chaps at Bowmore had laid out. During the course of the afternoon we also joined the RSPB a fabulous cause and only £3 per month), spent time chatting with a nice man, who wasn't Pete, about spikes on the Poguspikes stand, and generally had a good rootle through everything else that was there including photos, head torches, very sweet mountaineering food and some interesting outdoors courses from those lovely chaps at Dallam Outdoors which we'd love to have a go at but maybe next year when we're (hopefully) a little richer. We had an interesting afternoon and even though we couldn't make the most of everything that was on offer it was still well worth going along to, though I am half expecting to appear in next week's Westmorland Gazette as the hunt for the elusive Yeti of Old Kendal Town hots up. Well we've been up here best part of a year now and as my profession is that of a sort of teacher I think it's time I reviewed the things I've learned thus far in our new life. First of all I've learned to walk up hills, sounds easy enough but within a month of getting the house keys I got myself a shocking case of shin splints and was grounded. Walking on the level was OK but there isn't a lot of level around here. I suppose linked to that is the fact that I learned that Cartmel is further than you think and it's best not to try and sprint back over the fell when you've had a bucket or so of wine as that's what kicked the shin splints off. (The walking, not the wine). Secondly I've learned to walk in the dark. Where we previously lived there was a large nature reserve next to us Fleet Pond and it provided a handy shortcut to the railway station meaning that after long liquid nights out in London or Basingstoke we could use it as a short cut home, but it always scared the bejeebers out of me walking around there in the dark. We have now been stuck out on several fells after dark and I'm beginning to get the hang of it. Still not 100% comfortable with the experience but I'm getting used to it. Maybe I need a hip flask. And it's not just dark on the fells, the little track outside our home is unlit and there aren't many street lights along the nearby road either, so I've sensibly invested in a Legoman keyring and if you squeeze his belly light shines out of his feet. Who says I'm not well equipped. Thirdly I've learned about wildlife. 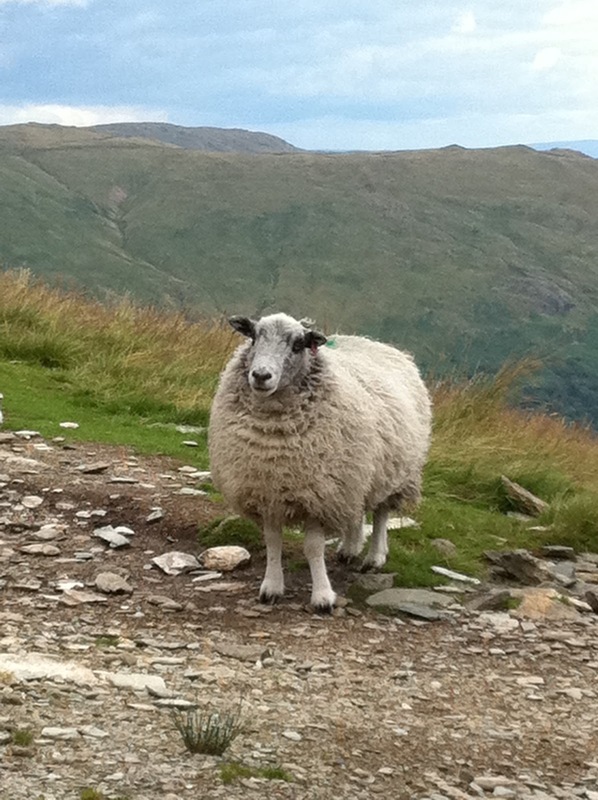 I've learned that sheep are the dumbest animals on the fells. Sorry, but it's true. There have been sheep and hikers on the fells for generations and yet they still look surprised to see you. I've learned that cows come in two main varieties, bored or nosey and so will either track your progress with a menacing air of hoody-esque detachment or follow you in groups to the nearest gate. I've learned that Slow Worms aren't and that Adders are quite pretty but best not approached. I've also learned that deer may be cute but they make the rudest noises when rutting (Bambi had to come from somewhere) and they are masters of disguise, hiding out on the fells all day and appearing through the mist to scare the hell out of you after dusk. Lastly on the wildlife front I've learned that there are no words adequate to describe how annoying midges are. Fourthly I've learned how to read a map properly and use a compass. To be fair I could do that before but my wellbeing has never depending upon it as it does now. I've also learned that compasses can be unreliable, they are only required to do one job and that is to point north, and although mine failed to do that recently we still made it home, thanks to my in inbuilt gin homing device. I've learned about outdoor equipment. 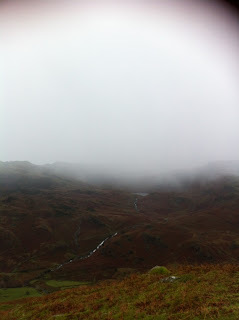 I know all about taking care of our waterproofs and I've learned that sliding down fells on your backside is expensive. I've also learned that I'm an old fuddy duddy when it comes to walking boots and after several attempts with non-leather boots I finally found my perfect match with my lightweight leather Brasher boots (and I'm still not getting paid to plug them!) I also learned that proper waking boots require proper woollen socks unless you have a fondness for large weeping blisters. And lastly I've learned about inversions and how unpredictable they are. We managed to see one over Windermere and, flushed with success, got up at 6am the next morning in an attempt to see another one over Ullswater. We failed but I did learn how cold it can be before the sun comes up. So what's left to learn? 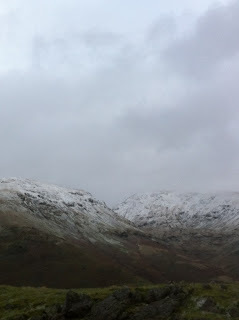 Well with winter looming ahead I plan to learn what hiking in the snow is all about, though I'll be starting gently on the lower fells I know well before attempting anything too lumpy, and I still need to learn how to pace myself better and not go tearing up every fell like an excited 6 year old. But then, maybe there are some lessons I'll never learn. 1. The best lunch spots will be found either at 11am and/ or 3pm and certainly not at lunchtime. 2. 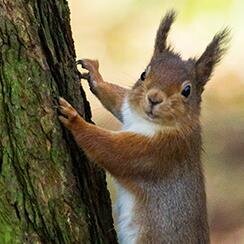 Any wild animal will pose perfectly for you until you get your camera out. 3. Rocks that feel dry to the hand will feel wet to the bum. 4. When hiking along a Gill you will find the perfect crossing point/ bridge about 5 minutes after you've paddled across. 5. Taking full waterproofs is the best guarantee of good weather. 6. The route you want will always be over the most awkward fold in the map. Or, in the case of the Seathwaite route up Scafell Pike, it will be on 2 different maps. 7. When you are utterly knackered and hauling yourself up "the hardest climb you've ever done" a fell runner will breeze past with a cheery "Hello". 8. You will need a pee in the most exposed and barren part of the hike. 9. When faced with a difficult spot of navigation in the mist you will inevitably have an audience. They will watch whilst you have a hissed exchange of opinions and they will continue to watch as you disappear off in one direction only to reappear and walk past them in the opposite direction 5 minutes later. 10. However well equipped you are there will be someone in the car park with bigger/ shinier/ newer. 11. You will have a good phone signal until it's misty, dark or both and you want to quickly double check your location. At this point all satellites in the northern hemisphere will hide themselves from your phone. 12. However remote or obscure your route, someone else will decide to hike it at exactly the same time as you and will usually be chatting loudly. 13. At the top of the most popular routes a large number of people will feel the urge to phone home to say "You'll never guess where I'm calling you from. I SAID YOU'LL NEVER GUESS WHERE I'M CALLING YOU FROM." 14. Removal of layers of clothing is directly linked to changes in the weather - the second you remove a layer, the temperature will drop requiring you to replace it again, at which point the sun will come out. High Street - well, bits of it. 15. Your route will go right through the middle of a bog. The route around the bog will only become apparent after you have reached the other side. 16. Nothing in your pack will get squished apart from your lovingly made and much anticipated sausage and egg mayo roll. 17. Your ability to zip up your waterproof quickly is directly proportional to how hard it's raining and how cold your hands are. 18. The fruit and nuts will be in the last rucksack pocket you check. 19. In driving rain your route will be directly into the wind. 20. The mist on the top of the fells will lift at roughly the same rate as you descend. Once back at the foot of the fell you will be afforded clear views of the previously misty peaks you've just stumbled across. Well there's my 20 to kick off with, though I feel sure there are many more - please feel free to leave comments and tell me what I've missed. An inverted blog about an inversion. (I'll let you work it out). By 9:30am the inversion was pretty much over with the sun having warmed the clouds in the valleys enough for them to dissipate. We made our way back to the car and dropped down to Fell Foot Park for a few shots of the early sun on the trees before heading home for hot bacon sarnies. Fun? Honestly, it’s the most fun I’ve had with all my clothes, thermals, and walking boots on. The most fun thing ever? Well now, that would be telling. The only way I can possibly avoid one of the cardinal sins of writing (over use of adjectives) is to direct your attention to Steve's stunning photos and let you fill in the blanks yourself. The views were breathtaking and with what little breath we had left we repeated again and again how lucky we are to have this on our doorstep. Unable to quite believe our luck we took a couple of shots near the car park before the short hike up Gummer’s How. We were still very stiff and sore from our 7 hour marathon on Wetherlam the day before so it’s a testament to how gorgeous the views were that we barely noticed the pain. At least not immediately, I certainly noticed it once we were sat at the top, but it’s amazing the effect a pre breakfast aperitif of ibuprofen and coffee can have. So what is an inversion anyway? Well, in simple terms, it’s when the air lower down is cooler than the air higher up and a cloud forms in the valley but not on the hillside. If you’re down in the valley you’ll think it’s a soggy, cold, dank day but on the top of the hills it will be crystal clear and gorgeous. Driving out the top of the inversion reminded me of when we popped out the top of the clouds on our flight to Dublin earlier this year, except this time we were in a crappy Ford Focus instead of a crappy Ryanair jet. Gummer’s How is only 10 minutes drive from home but during that short time we went from glorious sunshine, as we drove over High Newton, to thick mist as we dropped down to Newby Bridge. Out of the passenger window the most amazing views appeared as we drove up towards Gummer’s How car park and it was lucky that Steve was driving as he’s far less easily distracted than I am. Had I been driving it’s entirely possible we would have become one with the view in an unintentional “Thelma and Louise” fashion. We don’t do ‘early’, especially on Sundays, so when I woke at 7:30am and suggested to Steve that we do something fun then it’s entirely possible he got the wrong idea. As I bounced out of bed and headed for the kitchen the realisation dawned on him that this was a new and previously unknown definition of the word “fun” that involved getting out of bed, going out into the cold and heading up a nearby hill. 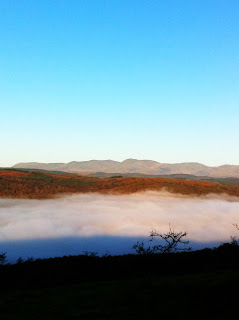 The promise of seeing our first ever inversion and the lure bacon sarnies on our return worked wonders though and we were soon in the car and heading for Windermere. Saturday's hike was a 7 hour extravaganza up and around the Tilberthwaite Fells. We kicked off in Tilberthwaite, nipped up and over Great Intake, down to Greenburn Beck, then up along Wet Side Edge and around the Carrs. We then whizzed over Swirl How before dropping down through the Prison Band then up and over Wetherlam and back to the car. We kicked off in Tilberthwaite and at the first fork had a bit of a disagreement over the route. We bickered our way to the top of Great Intake before making up and enjoying the views. After slithering down through mud and sheep s**t to Greenburn Beck we headed up towards the old reservoir before nearly breaking our necks hopping across the stream. We then bravely forged a new route to the top of Rough Crags (henceforth to be known as the "rough route for rough hikers") before keeling over in a sweaty heap and devouring lunch. As we surveyed the roller coaster route ahead of us we enjoyed a lively discussion pertaining to the fact that I merrily ignore contours when planning routes. My defence "but it looked like a nice circular route" apparently carried little merit. 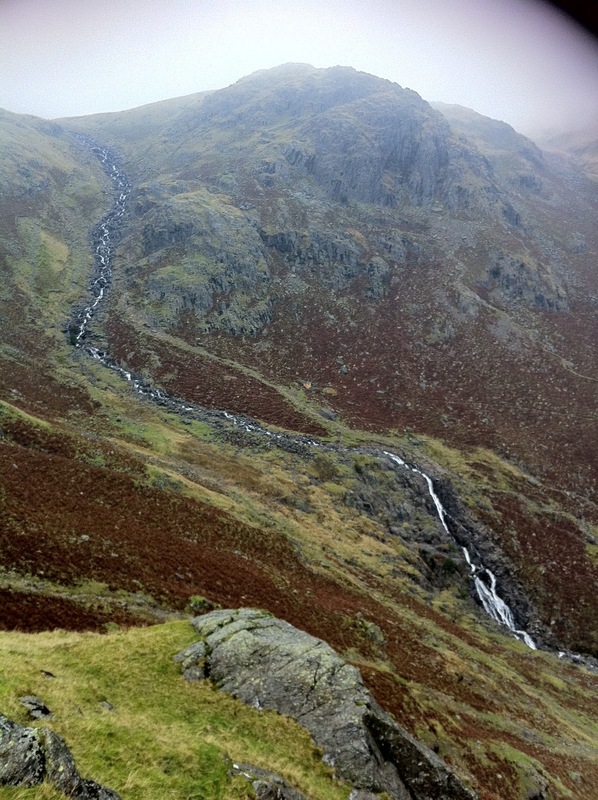 Continuing upwards we waded through Wet Side Edge (a more appropriately named fell I have yet to find) and sidetracked ourselves by inventing new walking songs, a game which left me with that old Mud classic Tiger Feet wedged firmly into my brain for the duration of the hike. Don't ask. Reaching the top of Great Carr we paused to enjoy the view. Well we mainly enjoyed the view. The part we didn't enjoy quite so much was the drop down to Prison Band and the hike back up to Wetherlam which lay ahead of us, but with the sun sinking and no alternate routes available we pressed onwards. About two thirds of the way up Wetherlam I decided that I wanted to be at the summit for sunset so upped the pace much to the delight of Steve. We got there just in time but were both panting so hard that most of the pictures were blurred. And so to the final descent. With the light fading fast we joyfully realised that our chosen route down from Wetherlam was not the lovely clear footpath as marked on the map, but was instead a rocky plummet, and at this point we adopted two different approaches. Steve maintained his calm and dignity and slowly picked out a sensible route down whilst I opted to tear vertically down the rock face slipping, falling regularly and swearing loudly. We both arrived at the bottom at the same time but only one of us still had the backside in their trousers. It was now completely dark so the torches were deployed. Hampered by the fact that my compass had packed up somewhere between Swirl How and Wetherlam I had decided to navigate using the stars and poured withering scorn on Steve's suggested route. I agreed to go his way for a while smug in the knowledge that he'd soon be begging me to tell him more about The Plough. Five minutes later, having arrived at the exact spot we needed to be I muttered a begrudging apology as he helped me over a stile. As we made our way back down to the car we paused to admire the stars and the many fireworks going off in the distance. So we'd been out a little longer than we planned, so what? I'd rather be lost on a fell in the dark than be subjected to most Saturday night TV, unless of course the bring The Waltons back. Long legs or little feet? Steve has the long legs and I have the little feet and I've often wondered which is best for fell walking. He's 6ft 4ins and, unbelievably, the shortest of his three brothers. Imagine that, 6ft 4ins and the runt of the litter. But those long legs do come in handy when striding over fells, for a start he can go twice as fast as me and I am often to be seen scampering along behind him trying to keep up, and they're undeniably useful when scrambling over some of the more challenging routes such as Sharp Edge, BUT those lovely long legs come at a price; attached to them are 2 very big size 12 feet, and they're not always quite so versatile. Th long and the short of it. I, on the other hand, despite being a non-too-shabby-for-a-girl 5ft 10ins, have irritatingly short legs and freakishly small feet for my height. I'm only a size 5 1/2 - 6 but that does have its benefits. For a start my walking boots are way cheaper than his, and although I can't quite stretch as far as he can when stepping across streams and climbing slidey hills, I can wedge my feet into tiny little nooks and crannies and find grippy spots he'd be lucky to fit his big toe into. So what is the best build for the fells? Well for a start you don't want to be too skinny. Not only will you get blown away by the first decent gust of wind but you will also fail to bounce. The fells are not all glorious green curves and well made paths, no siree. 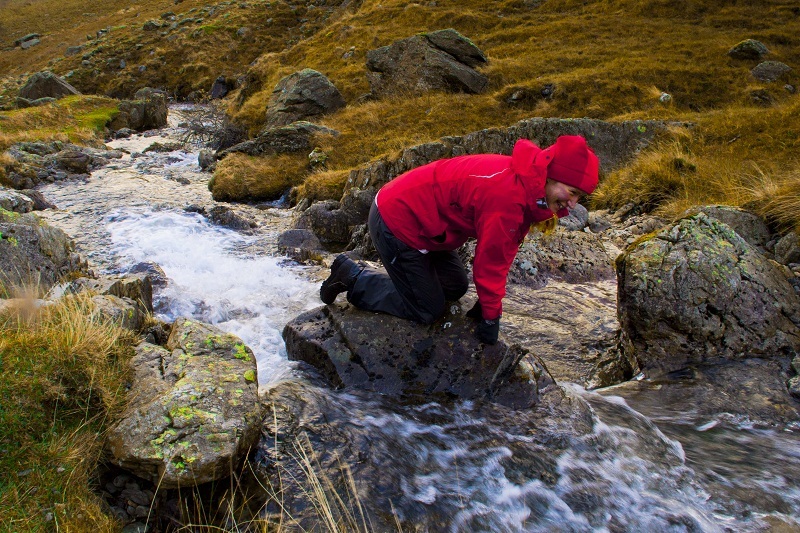 Many of them are slippy boggy booby traps whilst others, like Scafell Pike, lack any discernible path and require you to rock hop your way to the summit. You will, inevitably, fall over at some point, and when that happens it's best if you don't have a scrawny skinny backside else you'll probably break something important. The well upholstered posterior will, on the other hand, provide you with a rather more comfortable bouncing experience and leave you with nothing more serious than a few well hidden bruises. But you don't want to overdo the cushioning effect. Some of the sheep proof stiles can be a little on the narrow side and many's the time I've squashed my baps trying to squeeze through, and who wants a squashed egg mayo bap for lunch? And is taller really better? Well the shorter you are the lower your centre of gravity so the less likely you are to fall over in the first place, at least that's the theory. Despite being a full 6 inches shorter than Steve I have almost no sense of balance, even when completely gin free. He will hop, skip and jump his way across streams whereas I'm forced to resort to the "4 points of contact" approach. (Please see embarrassing photo.) And when it comes to descents, well I can whiz down any "bum plummet" faster than he can, even if it's not always intentional. So what am I saying? Well, for maximum efficiency on the fells you need to be no taller than 5ft with 4ft long legs and size 3 feet. You'll also need J.Lo's backside and The Great Blondin's sense of balance. Of course if you look like that you'll be far more likely to be making your living in a circus than hiking the fells but if Peter Jackson's still on the lookout for Hobbits you might just be in luck.